Special Offer Meet your expert local guide and proceed for a tour of Bratislava the capital, the most beautiful and largest city of Slovakia. This city has become one of the most famous tourist travel-spots, offering beautiful scenery, pleasant climate all year, excellent shopping malls, and welcomes tourists with an open heart and hospitality. 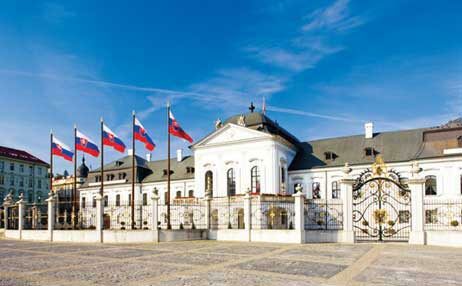 Bratislava, fuels the country's IT, finance, tourism and service industries. Museums, preserved churches, reconstructed mansions and palaces attract global visitors that generate profit for the tourism sector. Drive past the Presidential Palace and take a leisurely walk through the old town stopping at the medieval Town hall. Then continue your drive to Budapest where on arrival you will have dinner and then check into your hotel. Eastern whirl may seem mysterious to many travelers which only adds to its charm. Discover a number of remarkable places and cities with astonishing beauty and historic significance. For the casual tourists, the Alps are often associated with countries like Austria and the north of Italy. But the beauty of the most famous European mountain chain extends even further to the east. Easy Travelling, Smooth Sailing - On a Cox & Kings holiday you can just relax and we'll take care of everything. First Class Service - From location, service, to ambience, every detail is looked into, to ensure that your stay is an enjoyable one. A Friend In Need - Our Tour Manager Indeed - Our Tour Manager will at once make you feel at home. He'll show you the sights, guide you and take care of any problem, small or big! Great Meals - Stimulate your palate with a wide array of Indian dishes carefully selected and flavoured with authentic ingredients and spices. Sightseeing That Takes Your Breath Away - Enjoy the scenic journey through Europe with its ever changing landscape - from bustling cosmopolitan cities to tranquil lakes and alpine mountains. We offer a terrific holiday value that's impossible to match! Fabulous Optionals, Great Prices - You can design the holidays of your choice from the plethora of options before you. Budapest from the Fisherman's Bastion. The Sedlec Ossuary - Bone Church. Cesky Krumlov - UNESCO world cultural heritage site.Meet your expert local guide and proceed for a tour of Bratislava the capital, the most beautiful and largest city of Slovakia. This city has become one of the most famous tourist travel-spots, offering beautiful scenery, pleasant climate all year, excellent shopping malls, and welcomes tourists with an open heart and hospitality. Dinner at an Indian restaurant.An additional amount of INR 1500 is to be compulsorily paid by way of "Secure Your Booking Amount"
Meet your expert local guide and proceed for a tour of Bratislava the capital, the most beautiful and largest city of Slovakia. This city has become one of the most famous tourist travel-spots, offering beautiful scenery, pleasant climate all year, excellent shopping malls, and welcomes tourists with an open heart and hospitality. Today enjoy a guided city tour. Budapest is a graceful capital along the banks of the majestic Danube. Walk along the Fisherman's bastion for superb views of St. Stephen's cathedral. Hero's square the Danube embankment and the Chain bridge. Surprising sights and unexpected delights await! Drive by the Parliament, cross the Danube on industrial and business part of the town past the enormous Heroes Square, the beautiful Chain Bridge that connects the cities of Buda and Pest, the statue of St. Stephen and the seven turrets. Discover the residential area of Strahov. Return into your hotel after dinner. Today set your watches back 100 years as you continue your drive to the musical city of Vienna. You will be taken on a guided panoramic city tour of Vienna, which will inspire you by its charm and astonish you by the splendorous buildings of a time that is in a way still present. Commence with a photo stop to the Schoenbrunn Palace a UNESCO world cultural heritage site. Enjoy photographic opportunities as you drive around the ring and pass famous landmarks like the great State Opera House, St. Charles Church (photo stop), the Imperial Palace (Hofburg) (photo stop), the Belvedere (photo stop), the Parliament and the Town Hall among others offering an insight into the culture and history of the city and of the Habsburg dynasty. Spend a few hours visiting the popular Vienna Prater - an amusement park. Enjoy the various rides on your own. Take a walk in the beautiful woodlands. Not to be missed is the popular Ferris Wheel. Late this evening after dinner check into your hotel. Leave for Prague, enroute stop at Cesky Krumlov which is a city in the South Bohemia region of the Czech Republic. It's bisected by the Vltava River, and dominated by its 13th-century castle. The castle has Gothic, Renaissance and baroque elements, an 11-hectare garden and an original 17th-century baroque theater. There are panoramic views of the old town and the river. After some free time continue your drive to Prague where on arrival you will be checked into your hotel. Later after dinner return to the hotel. Breakfast in hotel and Dinner at an Indian restaurant. Enjoy a guided highlight walking city tour of Prague. Commence your exploration of this city admiring the grandeur of the Royal Palace that used to be the seat of the Bohemian princes. Get acquainted with Prague's major sights like the picturesque Charles Bridge and the Old Town Square. Continuing in the Old town, finish your tour at the square with the famous Astronomical Clock. Bohemian Crystal is world famous. Time for a spot of shopping, After dinner return to your hotel. Today you have a free morning to pursue individual activities. This afternoon drive to visit the Bone Church also called The Sedlec Ossuary, a small Roman Catholic chapel, located beneath the Cemetery Church of All Saints in Sedlec, a suburb of Kutna Hora. It is one of twelve World Heritage Sites in the Czech Republic. The Ossuary is estimated to contain the skeletons of between 40,000 and 70,000 people, whose bones have in many cases been artistically arranged to form decorations and furnishings for the chapel. The ossuary is among the most visited tourist attractions. An enormous chandelier of bones, which contains at least one of every bone in the human body, hangs from the center of the nave with garlands of skulls draping the vault. Good times need never end! Your tour ends with guests departing on individual schedules for the airport. 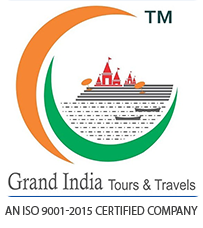 An additional amount of INR 1500 is to be compulsorily paid by way of "Secure Your Booking Amount"
Government Service Tax 4.50% on gross bill, effective from 1st June 2016. A part of your tour price will be taken in Euros from your BTQ as per the RBI / GOI regulations. Maximum 3 adults allowed per room. As a Third person in a Triple room, most of the hotels used roll-away beds and room size may be the same as the Double room. Once an air ticket is issued, date change penalty will be applicable. Check with our Sales Officer for the applicable charges. Indian dinners and local meals are pre set & a-la carte is not possible. The company shall not accept any liability or responsibility for any damages, loss of baggage, loss, injury, accident, death, breakdown or irregularity, which may occur in carrying out the tour arrangements due to weather conditions, strikes, war, threat of war, quarantine or any other cause whatsoever and all such loss or expenses must be borne by the passengers. The management reserves the right to claim any additional expenses incurred due to delay or changes in schedules of train, aeroplane, bus, ship or any other services. This tour may be run with an altered flow due to operational reasons. The Tour Manager and the driver will do their best to get you as close to the monuments as possible, because in some cities coaches are restricted. Eastern Whirl itinerary often operates more than one coach per departure & on certain departures will operate in reverse direction. For the convenience of our passengers, we will sometimes amend the itinerary. However the services will remain unchanged. Price- All rates are based on currents ROE EUR 1 = INR 79.6. The rate of exchange prevailing on the day of payment will apply. Reservation Fee INR 3000 per person.